I love sharing Young Living with my family especially my grand babies. Even Princess Elsa shares her excitement over her Natural Kids Care. She is displaying Kidscents Bath Gel (Item # 3684). The Kidscents Bath Gel is a safe, gentle soap that cleanses and protects sensitive skin. It is formulated with MSM, aloe vera, antioxidants, pure Lemon, Cedarwood, and other essential oils. This liquid soap is pH balanced for children’s skin. 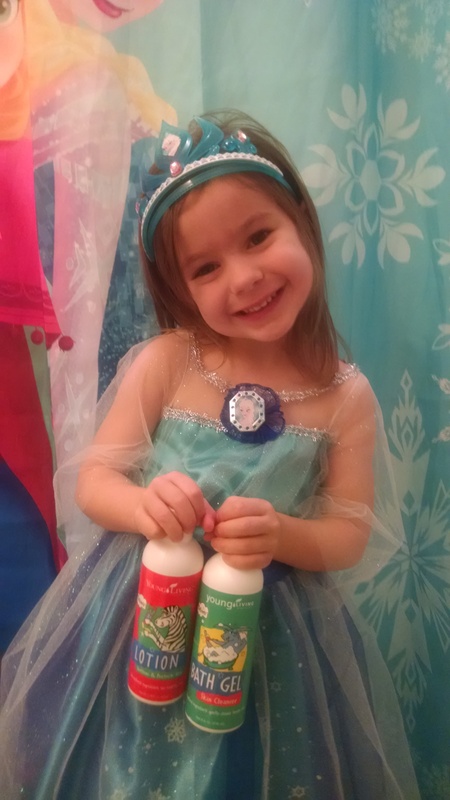 Princess Elsa also loves her Kidscents Lotion (Item # 3682). The lotion contains safe ,gentle ingredients that moisturize and soften sensitive skin. The premium blend of MSM, shea butter, aloe vera, pure Cedarwood, Geranium, and other essential oils, supports healthy looking skin for children of all ages. Order yours today for all natural skincare perfect for your little ones!